A free Kundalini yoga class will be held January 24 from 7:30pm to 8:30pm in MPR1. This is a great opportunity to try out this amazing form of yoga. Kundalini Yoga focuses on healing the body using different mudras (hand positions), chants to clear the mind, breathing techniques, and yoga postures. Kundalini yoga is very different from your typical yoga practice. 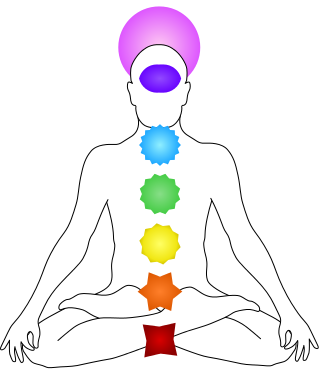 Take advantage of this awesome opportunity and register today for the free Kundalini Class. In this class we will get our bodies moving and energy channels flowing correctly with warm-ups and a physical yoga set. Then we will delve deep into meditation bringing your mind, body, and spirit in complete communication and synchronization for healing, stress relief, and alignment. In kundalini yoga, you may find that we practice a combination of the physical aspects of yoga involving posture and other types of exercises with "inner work” - mantras and meditation. Each class is designed to encourage a deeper awareness to your body, mind, and spirit and to become more conscious about you, your environment, your relationships, and your needs. With this awareness you can begin to make positive lifestyle changes and become clearer about your mind and emotions to be able to live at your highest and fullest potential. In this way we stay in tune with the inner guide that always leads you in the right direction and toward the right decisions. Description: Experience the Joy of Kundalini Yoga. Instructor Savitri Seema teaches students to fully process their emotions and feelings with effective methods for self-healing. She utilizes Yogi Bhajan’s teachings to help participants manage stress and balance relationships in our day-to-day lives. She aims to bring conscious awareness to our minds, bodies, hearts and environments to release what we do not need and to reprogram unhealthy habits, behaviors, and thought patterns to be able to reach our highest potential and live deeply meaningful, successful, and fulfilled lives. Days and Time: Thursday nights from 7:30pm to 8:30pm January 31 - March 7 (6 classes). To register for the class series, please click here.